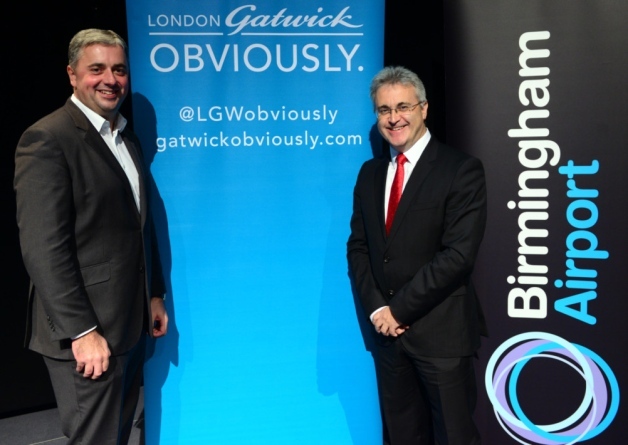 Home > Blog > Birmingham Supports Expansion of Gatwick. Birmingham Supports Expansion of Gatwick. Among all the UK airports Birmingham is the biggest and the busiest one. Being crowned as the elite, its opinion is worth a lot. Birmingham has finally given its opinion about the Gatwick-Heathrow Expansion feud. Both the airports have utilized all the means possible to sway the authorities in their own favor. The battle has been long and exhausting. It’s been almost two years of checking out the feasibilities regarding environment & economy and working out the budget for the expansion expense. It also took the opinion of the residents of the adjoining area. Both competing airports had tremendous support as the expansion would bring business to the area. Initially, the airlines and businesses supported the expansion of Heathrow. Representing more than 70 airlines, the Board of Airline Representatives in the UK (BAR UK), said that “Expanding Heathrow is the right solution to drive the UK’s economy”. The views expressed by the CBI and the trade unions were similar to that. Yet there are entities who suggested that if you look at the bigger picture, UK is going to need both of these airport expanded in a long term anyway. This indicates that the quarrel these two have been indulged in is entirely in vain. Putting all the facts and figures together, Birmingham has chosen to support Gatwick. According to Birmingham Airport Chiefs, the new runway at Heathrow would be harmful for the growth in the region. Paul Kehoe, the Birmingham Airport chief executive, said “He backed the Gatwick proposals as being the most favorable to the West Midlands, claiming an expansion at Heathrow would draw more businesspeople out of the regions and towards the capital”. Mr. Kehoe also said, “Recent growth at the airport, which reported a 6.5 per cent rise in passengers to 9.7 million last year, showed there was appetite to fly from the regions”. “New analysis of the Airports Commission’s research raises serious concerns that the potential negative effects of Heathrow expansion on our regional economies have not been properly considered. Apart from Birmingham support for Gatwick there are factors to be analyzed and their combined effect weighted in the balance of what’s best for people and the Economy will be decided upon. Whichever gets to be the finalist of “Expansion Plan” it would provide an extra boost to all the Current business. Mobit Airport Parking provides its amenities at all Birmingham, Gatwick and Heathrow. So, if you find yourself in a need of secure and privileged airport parking, Birmingham Parking will surely serve you right. Previous PostHow to Beat the Airport Parking Monster?Next PostAn Airport Parking Resolution. Normally I do not read post on blogs, however I would like to say that this write-up compelled me to try and do so! Your writing style has amazed me. Thank you, very great article.